Experimental films by Man Ray and Len Lye are included, as is the Bob Dylan documentary Dont Look Back (described as the "most quoted music video of all times"). Most of the videos are from the MTV era, such as Michael Jackson's Thriller ("the first music video blockbuster") and Madonna's Express Yourself (inspired by Metropolis; directed by David Fincher). Michael Shore's Rolling Stone Book Of Rock Video has more background on the history of music videos (including earlier formats such as Soundies and Scopitones), though it was published in 1984. 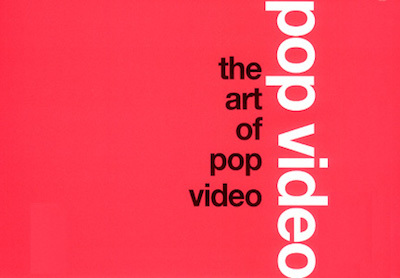 The Art Of Pop Video is therefore more up-to-date, and it has many more illustrations.